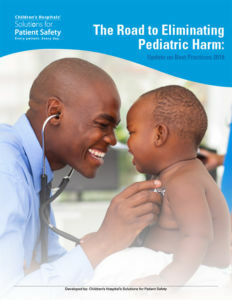 Little evidence exists for pediatric prevention standards for the pediatric hospital acquired conditions (HACs) that are the focus of the network. 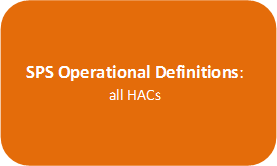 Over the past two years, SPS has developed standard definitions for pediatric HACs based on those used for adult HACs by using a participatory approach led by pediatric safety experts. 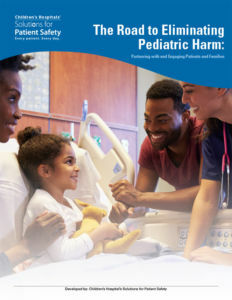 SPS network hospitals rapidly adopted these standard definitions and have come together to develop evidence-based bundles in care delivery for each pediatric HAC. The SPS network is working with hospitals to spread and implement these bundles in care delivery in order to accelerate the pace of harm reduction. Sign up to receive our quarterly e-newsletter and view the newsletter archive. Over the past years, we have realized the importance of creating and sharing tools that make it easy for hospitals to drive our SPS Prevention Bundles to the frontline. Therefore, we have created videos that can be used by frontline teams and their leaders across all children’s hospitals to understand and apply the specific details of the SPS Prevention Bundles. As a training tool for your staff to review prior to completing job instruction (the videos follow the SPS job instruction tools step by step! ), return demonstration or hands‐on, competency‐based training. As a template for your hospital to use as guidance for creating hospital‐specific videos (if resources allow). As an ongoing expert resource or reference for your staff if they require review prior to performing a procedure ‐ Qualify, validate and verify (QVV) with an expert source! SPS network hospitals across the country are joining forces to affirm that critical role patient families play in making hospital stays as safe as possible for them children. To raise awareness of the importance of patient safety within our hospitals’ patient populations as well as their surrounding communities, SPS has developed sample social media posts, a flyer and poster with safety tips for patient families when they visit the hospital.